What would your 36 hours in Steamboat look like? If you missed this great article from in the New York Times travel section, take a look here. And right now is the perfect time to be here. With almost of full week of snow, the ski area base is piling up, the powder is falling, and skiers are loving it! Check out the snow report here. This ski inn condo has direct access to the slopes. Watch the gondola overhear from your covered deck. This ski-in/ski-out home has one of the best locations in town. Adjacent to the Thunderhead lift and National Forest, you can ski directly to and from your front door. Great family or corporate retreat or nice income producing property. Near the shore of Lake Catamount sits one of the best deals in town. Now offered at just $825,000, this Catamount Cabin has lake views and endless activities. 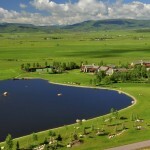 One of the most amazing Estates in Colorado, the Wildflower Estate at Steamboat Springs was priced at $20,000,000 but has now been reduced to $13,925,000. View details of this amazing property here. 133576. 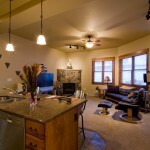 This La Casa unit was just listed at $350,000 and is steps from the slopes. A nice open floorplan combines with a large kitchen and three bedrooms. Please call if you have any questions. Have a great holiday season. Ski season is 1 only week away! Crews are blowing snow and getting the mountain ready. It has been reported that the Christie lift will be open for sure and there is a chance that the gondola will be open as well. But, looking at the forecast for the next week, that seems questionable as temperatures will be reaching the 50s. Outside Magazine has just named Steamboat the 6th best ski resort in North America, thanks in part to some new trails, lift upgrades, large terrain, and our mixture of lodging options. And don’t forget the off mountain amenities such as the Strawberry Park Hot Springs, the great restaurants, the lively bars, and this years 100th annual Winter Carnival! This amazing celebration with take place from February 6th-10th this year. 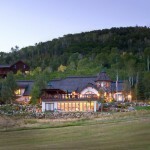 Conde Nast Traveler also named Steamboat one of the top 15 best resorts in North America. While we’re here, may I mention one great price reduction that we have? The “Endless Views House” which overlooks the valley and Catamount Lake has just been reduced to $995,000. This home is one of the highest in the valley, with classic architecture, open living areas and 35 acres. Imagine sipping coffee while watching the light hit the valley floor in the morning, or enjoying a glass of wine in the built in hot tub while taking in a brilliant sunset. Don’t miss this special opportunity. Have a great week and we hope to see you soon. If you have any questions or would like a tour of Steamboats finest real estate, give us a shout! Representing the best luxury real estate in Steamboat for over 20 years. Two Weeks Until Ski Season! Ski season is only 2 weeks away! It’s hard to believe but you can feel it in the air. There’s not a lot of snow on the ground at the moment, but there’s snow on top of the mountain and more is supposed to fall soon. At the Vanatta Group we’ve been busy with some new listings and some price reductions. The Clock Tower building in Ski Time Square – one of the most recognizable buildings at the base of the ski area, this large parcel can be split into 3 separate parcels. Each one offers something different; from a vacant land to retail/office to residential. The possibilities are endless on this rare offering in a prime location. Great privacy and beautiful views from this 35 acre lot in Big Valley Ranch. This large lot has a gentle slope from the surrounding hills down to the valley floor. Horses are allowed and hiking trails are close by in this prestigious neighborhood just minutes from town and the ski mountain. Triple Diamond Ranch – Back on the market at a great price. This 331 acre parcel can be split. It has two large homes, amazing equestrian facilities, barns, storage, riding arenas and awesome views too! Sitting on the 3rd fairway of the Rollingstone Ranch Golf Course, this three bedroom home has a den, large deck, open kitchen, and great finishes. On a quite road near skiing, shops, cross country skiing, and of course, golf. The lowest price lot at Catamount Ranch. This deal will not last long. Sitting beside the 18th fairway and green, with Walton Creek frontage, this 6.45 acre lot is an amazing deal. Build your dream home in this prestigious neighborhood at rock bottom prices. Rarely on the market, this Mount Werner Lodge unit is in the perfect location. You might not even know this building is here because it is so unassuming and blends right into the ski area base so well. This two bedroom unit is just steps from skiing, bars, restaurants and shops. Commercial offering in downtown Steamboat. Keep your eyes open for this new listing coming soon. This custom builders private home is on 38 acres with pond, streams and water rights. Amazing finishes, privacy and space to roam. Over 3,330 sq ft with customized touches and fine finishes. “Owning a vacation home could not be simpler”. This rare full ownership opportunity at the Christie Club has 4 bedrooms, a deck that looks straight to the mountain and luxury finishes. As a member of the Christie Club you can enjoy slope side pool, hot tubs, gym, lounge, storage lockers and ski valet. It’s also one of the only properties in town that offers a shuttle to and from the Hayden Airport. Heavenly views from this 1.05 acre lot in the Sanctuary. Sitting high up on the hill, on a cul-de-sac, this lot borders hiking trails and is the perfect spot for a custom luxury home. This cleared 0.31 acre lot in Longview Highlands Subdivision is perfectly perched on the hillside with fabulous views of the ski area. Ideally located between downtown and the ski area, the lot has a great views and all utilities are available to the lot line. Unbelievable views from this easy to build on, south facing lot in Deer Mountain Estates, a great location that allows horses. Only 10 minutes from town, this 5-acre lot is well equipped with electricity and phone lines available to the lot line. Seller financing may be available! And if you’re waiting to buy something; don’t wait any longer! We just closed on 4 properties in the last month and have 4 more under contract! The market is swinging. 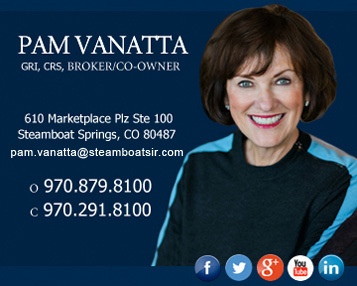 Give us a call if you have any questions or if you would like to see any Steamboat Real Estate. Have a great week and we hope to see you before ski season! Representing the best real estate in Steamboat, from luxury to affordable, from vacant land to luxury Estates. For those of you that love numbers, here are some sales statistics for the summer (These statistics come from the Steamboat Springs Multiple Listing Service). From June 1, 2012 to September 11, 2012 there were a total of 223 sales. The rest of the sales were pretty evenly spread between the South Valley, Highway 40 corridor, Hayden, Oak Creek and surrounding areas. The least expensive home sale was for $35,000 for a single family ‘fixer-upper’ home in Oak Creek. 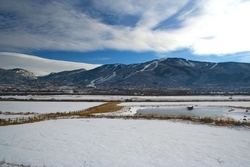 The least expensive single family home in Steamboat was a Fish Creek Area home that sold for $279,500. There have been 14 sales this year of $2,000,000 or more. The top five sales start at $3,000,000 and reach nearly the $4,400,000 mark. In order of price, here are the top 5 sales of the year. 5. The commercial building at 3rd and Lincoln Avenue. The former site of Chase Rugs and the future site of Natural Grocers. This 20,650 square foot building sold for $3,000,000. 4. The Covered Bridge House at Catamount Ranch. One of the nicest homes in the valley, this luxury home has all the bells and whistles, 7 acres, and amazing golf course views. This home sold at the start of the year for $3,475,000. 3. Sitting just 13 miles from Steamboat, this property has 760 acres, a 6,700 square foot home, hunting, hiking, riding and more. This luxury property sold for $3,900,000. 1. Woodchuck Mountain. Close to Stagecoach Reservoir with 2,000 acres of varied terrain, this property is truly one of a kind. Hunting, fishing, springs, views and more. This property also sold at the start of the year for $4,374,180. The Landings at Steamboat. We’ve had two price reductions on two great units. You will love the huge windows, large decks and vaulted ceilings. This 4 bedroom unit has a fireplace in each bedroom and has been reduced to $749,000. This unit has modified the garage for an extra bedroom and has been reduced to $664,500. Close to skiing but still very private, this 3 bedroom home has two large living rooms and giant decks with great views. Huge windows and vaulted ceilings. Now offered at only $1,095,000. The Cabins at Lake Catamount. One of these cabins just sold and this one has just been reduced. Steps from the lake and clubhouse, this peaceful home is a steal at only $895,000. The Moraine Townhome. Very stylish and very convenient, this great unit is near everything and has great amenities. With three bedrooms and only priced at $479,000, this is one of the best deals in the mountain area. The Ski-Inn condominium. Ski-in/Ski-out condos have been an active part of the market recently. Don’t miss out on this fantastic 2 bedroom unit with a loft and a deck that look straight out to the gondola. Just reduced to $295,000. 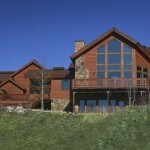 We also have a notable new listing in Big Valley Ranch. This 35 acre parcel has endless valley and mountain views, a gentle slope and great privacy. Just listed at $590,000. Prices are low, interest rates are low, but inventory is falling. The National Association of Realtor statistics show that the median days on market properties is down almost 30 percent from a year ago. The median days on the market is now only 69 days! Don’t miss out on your dream property. Call us for more info or to schedule of tour these fantastic properties. Have a great end of summer and fall and we hope to see you soon! We’ve had numerous price reductions and now is the time to buy! Cabin at Lake Catamount . This luxurious 3 bedroom home is steps from the lake, the pool, clubhouse, tennis and more. Now offered at $1,100,000. #133368. Prices are low, interest rates are low, but inventory is falling. Call us for more info on any of these listings or schedule of tour these fantastic properties. Have a great end of summer and hope to see you soon! Representing the best real estate in Steamboat Springs. July has arrived in Steamboat and along with it, hopefully a bit of rain. After one of the driest Junes on record, July started off with some rain already and there’s more in the forecast. The Yampa River has been closed for tubing and most recreation, but there is still plenty to do in Steamboat including biking, hiking, enjoying the lakes and reservoirs, and partaking in the many events and activities going on. The annual 4th of July fireworks show was cancelled, but a free concert will be held in its place. If you were here last year, you know that this spring has been a drastic difference from last year when the water would not go away. But, we’re still having a great time up here and truly enjoying life! Some other news that we’re quite proud of that Consumer Reports ranked the Steamboat Hospital as the safest hospital in Colorado and one of the safest in the nation. See the article from the Steamboat Pilot here. If you’re looking for real estate deals, check out these offerings. Great location and price! Near shopping, skiing, free bus and golf, this 3 bedroom home is in great conditions. Just listed at $516,000. Stylish home, fully furnished on the mountain. Great landscaping and gardens in this classic 3 bedroom home with beautiful decks and views. Just listed at $815,000. Room for horses too! This 3 bedroom home on 8 acres is just minutes from town and has nice decks, privacy, barn and outbuildings. Just listed at $475,000. This commercial building on main street has almost 8,000 sq ft with 14 separate office/retail spaces. Constant income or great re-development opportunity. Just listed at $995,000. 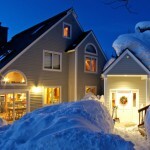 Ski-In/Ski-out access for just $324,500! This 1 bedroom, 2 bath condo near the base area is on the main level and offered fully furnished. The ultimate Ski-in/Ski-out location! This location cannot be beat, sitting just steps from the Thunderhead ski lift, you can ski to and from the front door. Great rental potential. Offered at $3,200,000. Located between town and mountain, this rarely available Mountain Dreams townhome has 4 bedrooms and 1 car garage. Offered at $595,000. Privacy and space in a prestigious neighborhood for only $620,000. Enjoy three bedrooms with a huge studio, extra parking, storage and great decks with mountain views. Looking to build a home? This corner lot in Silver Spur is the only active lot for sale in the subdivision and is priced to sell at just $135,000. Another great lot in a beautiful and peaceful setting. 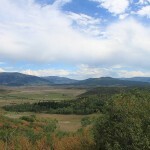 This 2.75 acre lot is in North Routt near Steamboat Lake. Great setting, privacy, and abundant activities. Offered at just $132,000. Ultra-luxury 7 bedroom home with guest apartment and separate caretaker unit, full indoor pool, theater, and luxurious bedroom suites. 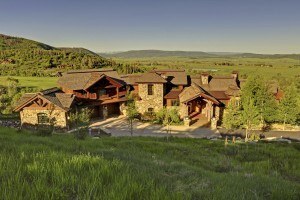 One of the most formidable homes in Steamboat, just reduced to $8,375,000. Sitting on the 7th fairway and on a private cul-de-sac, this luxury home has 5 bedrooms and great decks overlooking the golf course. Reduced again to $1,250,000. Over one acre near the base of the mountain. This haven of privacy has 4 bedrooms, an office, great patios, immaculate landscaping and potential for a caretaker unit. Just reduced to $1,549,000. Now a short sale opportunity. Another great Ski-In/Ski-out opportunity. Chateaux Chamonix offers great amenities and this unit is on the ground level. Just reduced to $865,000. Luxury home on Lake Catamount. Steps from the lake and clubhouse, this 3 bedroom home with loft comes fully furnished. Motivated seller!! Reduced to $1,150,000. Massive price reduction! Very special home in a gated community with privacy and access to national forest. This 5,700 sq ft home is one of a kind. This is just a sample of the offerings and deals that we have. Call us for more info on any of these listings or schedule of tour these fantastic properties. Have a great holiday and hope to see you soon! The warm spring is turning into summer in Steamboat. The valley is green and beautiful! The real estate market has shown signs of growth, but continues to be an amazing deal for buyers. If you’re interested in something, don’t wait! Here are some notable price reductions. One of the most formidable homes in Northern Colorado, this elegant luxury home has an indoor pool, theater, nursery, guest apartment and so much more. Huge price reduction to $8,375,000. The most peaceful home in the Sanctuary. Built on two lots for extra privacy and bordering Fish Creek. This luxury home has just been reduced to $3,249,500. Cabins at Lake Catamount – Now starting at just $969,900! These luxurious 3 bedroom homes are lake front or just near the lake. Also, steps from the pool, clubhouse, tennis and more. #131374, #130417, #133368. Cross your own private bridge to a beautiful luxury home on 116 acres. 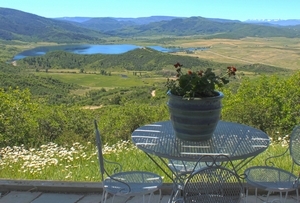 Bordering the Elk River with endless activities, privacy and views. The special home has been reduced to $3,995,000. Reduced to just $1,495,000, this mountain contemporary home is stylish and modern. Close to down town, schools and the green belt, this home also has a great deck and huge views. A rare offering at the Spa at Storm Meadows. This luxury condo is a top floor corner unit overlooking the pool with huge mountain views. Great amenities and covered parking. Reduced to $895,000. Sitting on a private cul-de-sac and also on the 7th fairway of the Rollingstone Ranch Golf Course, this spacious luxury home has multiple decks, great views and great landscaping. Reduced to $1,325,000. Beautiful luxury home in a gated community. This special masterpiece has been drastically reduced and is now priced to sell at just $1,699,900. Bordering Fish Creek in the only gated community in town, this ultra-luxury home has just been reduced to $4,395,000. Overlooking the ski area base, this luxury duplex is one of a kind. The south side has just been reduced by $800,000 to $2,900,000. Style meets function in Big Valley Ranch. Beautiful contemporary home with immaculate attention to detail. On 15 completely usable acres. Reduced to $2,750,000. Luxury home on one acre near the base of the ski area. Now priced less than $300 per square foot. Amazing views and a new kitchen. Reduced to $1,675,000. The perfect location near golf, skiing, shopping and hiking. This Moraine townhome is elegant and stylish and has been reduced to $499,000. This corner lot in the Sanctuary has views, privacy and is just steps from Fish Creek. Reduced to $475,000. Watch the gondola overhead from your deck. This slope side Ski Inn condo has been reduced to just $313,500. Great lot situated between town and mountain. Great mountain views and close to parks with room to roam. Reduced to $249,000. The Historic Sidney School House has been transformed into a beautiful 2 bedroom home with a sunny loft and detached “teacherage” which is perfect for a studio or office. Great landscaping, outdoor shower, hot tub all situated on one fully fenced acre. Reduced to $475,000. Give us a call if you have any questions or would like a tour of any of these Steamboat propeties for sale. We hope to see you around town this summer. When the snow finally came to Steamboat, it came in record amounts. In case you missed the news, on February 20th we woke up to 27″ of light, fluffy powder; the highest single day snow fall since 1929. Since then it’s continued to snow and it’s finally looking like mid-winter. In conjunction with the late arrival of winter, we would like to update you on 2012 new listings and notable price reduction. Rustic elegance in the Sanctuary. This luxurious home borders Fish Creek with golf and skiing just outside. Very elegant and peaceful home built on two lots for additional privacy. Offered at $3,475,000. One of the most convenient luxury offerings in Steamboat, this rare full-ownership Christie Club unit is direct ski-in/ski-out. Wonderful amenities make this the perfect vacation home. Offered at $1,595,000. Watch the gondola cruise right by from the this top floor Ski Inn condo. Ultra convenient ski-in/ski-out location with great deck for watching all the activity. Offered at $319,900. Centrally located near shops and the free bus, this Pines condo has 3 bedrooms with views from every room. Top floor, corner unit with a nice deck. Just listed at only $329,000. Lake front Catamount cabin. Just steps from the lake and all the amenities of the clubhouse. This luxury home is a great deal at $1,200,000. Great condo on the first floor with three bdrms and luxury finishes. Ski-in/Ski-out from the Chateau Chamonix. This unit has a great patio with access to a nice yard area. Just listed at $925,000. Located in a wonderful downtown neighborhood near schools and parks, this spacious home is perfect for families or entertaining. Luxury finishes and great outdoor patio. Offered at $1,049,000. Overlooking the pool and with huge mountain views, this rarely on the market Spa at Storm Meadows condo is priced at $910,000. 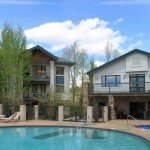 Great amenities and just steps to the ski slopes. This townhome is in a great location with golf and skate skiing right outside your door. Only $725,000 for this three bedroom unit located on a private cul-de-sac. 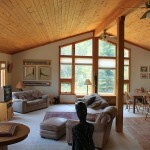 Located in the Sanctuary near Fish Creek and great hiking trails. This unique home has been reduced again and is now offered at $1,639,500. Another beautiful Sanctuary home, this elegant masterpiece has now been reduced by $800,000 and is offered at $3,595,000. Unbeatable views and outdoor spaces in this luxurious Dakota Ridge home. Very private with large decks, beautiful landscaping and a nice water feature. Reduced to $2,395,000. Unobstructed lake views over Lake Catamount. Steps from the lake and all the activities of the clubhouse. Reduced again and now offered at only $1,000,000. Set on 35 beautiful acres with an open pasture for horses, this like-new log home is just 9 miles to town. Absolute privacy with views. Just reduced to $825,000. 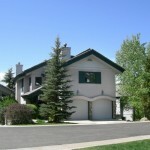 Great neighborhood and convenient location near Whistler Park. This top floor 2 bdrm unit has been reduced to $329,000. Luxury haven on one full acre near the base of the mountain. This solidly built home has been reduced to $1,899,000. Only $281/sq ft for luxury on a full acre. Drastic price reduction on this luxury home near Stagecoach Reservoir. All the bells and whistles you want at a fraction of the price. Possible lease-to-own option. Reduced to $1,749,999. Beautiful 7.11 acre lot in Stagecoach. Beatle kill trees have been removed and this lot is ready to be built on. Reduced to $250,000.